When will be Tantei Gakuen Q next episode air date? Is Tantei Gakuen Q renewed or cancelled? Where to countdown Tantei Gakuen Q air dates? Is Tantei Gakuen Q worth watching? Dan Detective School is the most famous detective school in Japan and recognized by the government itself. Only those with talented skills and intelligence are chosen to enroll in the school. The school itself, is founded by the famous Detective Dan Morihiko. 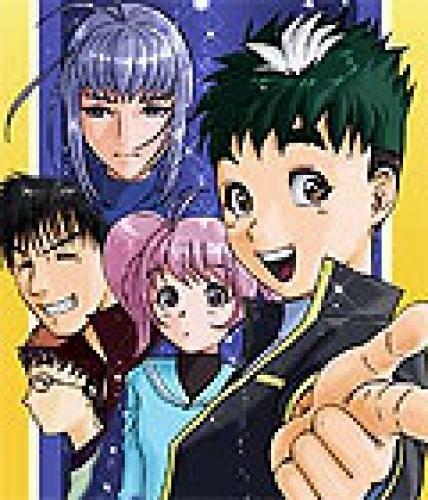 Kyu is an ordinary boy with big dreams to became detective, he attends the school and became a member of Q Class along with Megumi the girl with photographic memory, Kazuma, the IT genius kid, Kinta who is as strong as an ox and the mysterious Ryu who is a great detective himself. Together, they solved many cases that even the police couldn't solve. And this bring them to face Pluto, a crime organization that should had been destroyed by Dan Morihiko. EpisoDate.com is your TV show guide to Countdown Tantei Gakuen Q Episode Air Dates and to stay in touch with Tantei Gakuen Q next episode Air Date and your others favorite TV Shows. Add the shows you like to a "Watchlist" and let the site take it from there.